WHAT DO I DO IF MY CUMULATIVE GPA IS BELOW A 3.0? Were there limitations that affected your GPA? If so, what is your plan to address these limitations? IS HUMAN SERVICE EXPERIENCE REQUIRED? Although it is not a requirement, strong preference is given to those applicants with paid or volunteer experience in human services, particularly experience that demonstrates responsibility and leadership. Applicants are advised that MSW field placement options may be limited for those who lack prior human service experience. WHAT IF MY PREREQUISITE COURSEWORK IS NOT DONE? 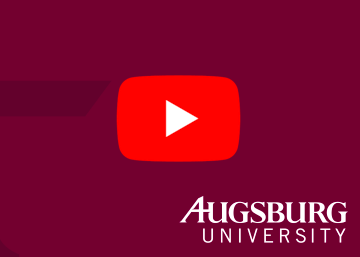 For admission to the Augsburg University MSW Program, applicants must demonstrate a Liberal Arts degree or 4 social science and 3 humanities courses. In addition, all applicants must have completed a biology course and a statistics course. In the event an offer of admission is extended, it will be conditioned on completion of any outstanding prerequisite courses before enrollment in MSW courses. WHAT IF MY BACHELOR’S DEGREE IS NOT YET FINISHED WHEN I APPLY? We are willing to review the application file of an applicant who is lacking 1 semester or 2 trimesters of coursework (including practicum) at the time of application. This means if you have just finished your final fall term, but still have a final spring term to complete, when you apply to our program in January you must ensure that your fall grades have been posted to the official transcript before having it sent to our office for your application. In the event an offer of admission is extended, it will be conditioned on completion of the bachelor’s degree before enrollment in MSW courses. IS ACADEMIC CREDIT GRANTED FOR LIFE OR WORK EXPERIENCE? Although experience will make for a strong application file, we are unable to waive any degree requirements for work or life experience. This is the policy in all CSWE-accredited programs. MAY I SEEK COURSE WAIVERS FOR THE MSW COURSES LISTED ON THE BSW EQUIVALENCY CHECKLIST IF I HAVE TAKEN THESE EQUIVALENT COURSES AT THE UNDERGRADUATE LEVEL, BUT DID NOT MAJOR IN SOCIAL WORK? Unfortunately, no. We offer course waivers for certain MSW courses only when the entire BSW major (CSWE accredited) has been completed by an applicant and we can therefore assume the applicant has been adequately prepared as a generalist social worker. For the particular MSW courses open for waiver to these advanced standing applicants, we expect a grade of B or higher in the BSW equivalent course. But it also is expected that the remaining BSW courses from the social work major were completed satisfactorily and the applicant graduated with an accredited BSW degree. If an equivalent course has been taken from another MSW program, please ask us about our transfer of credit procedure. WHO MAKES THE ADMISSION DECISION ON MY APPLICATION FILE? Each application file is reviewed by 2-3 full-time social work faculty who each make a recommendation on the file. These recommendations are taken to the Social Work Admissions Committee which then renders a final admission decision. On average, MSW applicants submit a personal statement between 3 and 5 pages (double spaced). Approximately 1 page per question is considered adequate. MAY I VISIT TO SPEAK WITH SOMEONE FOR ADVICE ON PUTTING TOGETHER THE STRONGEST POSSIBLE MSW APPLICATION? Absolutely! You may contact our graduate admissions counselor at 612-330-1101 or send an e-mail to mswinfo@augsburg.edu to schedule an advising appointment.